Whether you are changing an installation configuration, or configuring the installation at the initial install the options are the same. 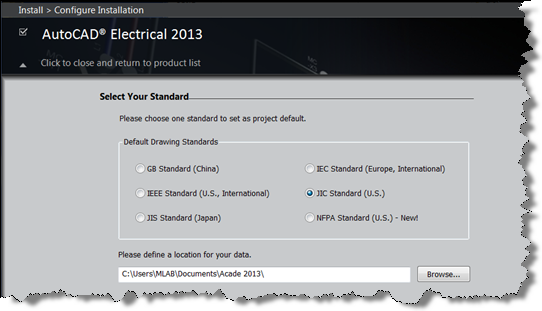 In this next section you choose the libraries your company uses when creating the drawings. If you are not sure select them all by clicking the box to the left of the names. It will install project folders with drawings. Later you can delete them if you find you do not need them. 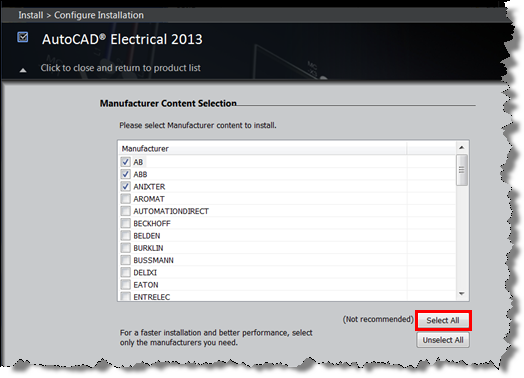 Selecting the Custom option in this section allows you to install additional features a typical installation does not install by default. For example, in a typical installation the Express Tools are not installed so if you want them available you will want to do a custom install and check the option for Express Tools. The last section searches for service packs and gives you the option to download them so they can be installed during the software installation. You will need an internet connection if you plan on taking advantage of this option. If you already downloaded the service pack(s) there is a section allowing you to add them from a local or network drive. 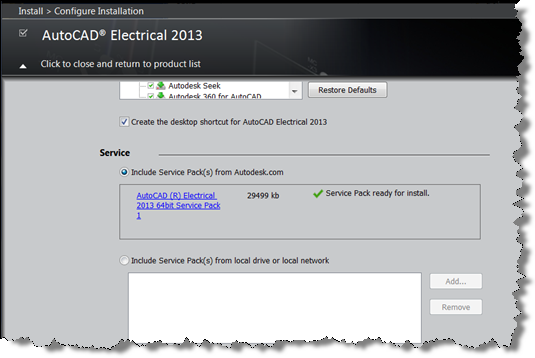 If you do not want to install service packs at this time select the “Do not include Service Pack(s)” option. 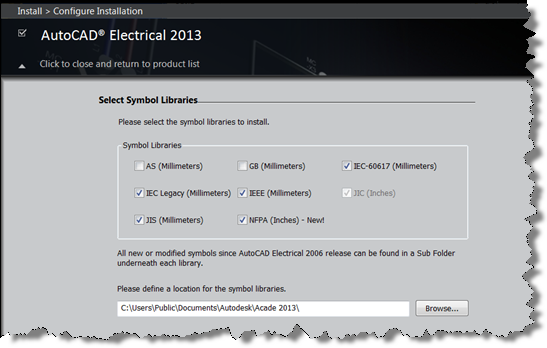 Installing AutoCAD Electrical is not difficult when you know to click the option to configure the installation. However, using the Add or Remove Features option can correct your install even if you did install it before realizing how to configure it. 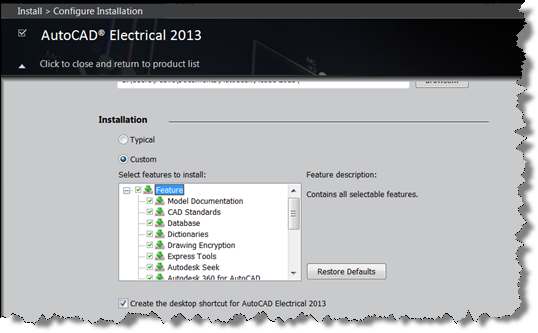 If you are not sure just install all options and after working with AutoCAD Electrical for a little while you can remove the content you do not need. Todd is a graduate of Delaware Valley College in Doylestown, Pa. He has over 20 years experience in the mechanical engineering field. Ten years of this time was spent as a documentation specialist/designer at Honeywell, Inc. where he worked on several government contracts which required strict drafting and design documentation in accordance with government standards. Additional experience comes from working in the technical ceramic, elevator, and specialty gas industry designing equipment for each of these fields. Todd joined Synergis in 2003 as a Design Solutions Engineer where he began providing assistance to customers through training and consulting, helpdesk support, as well as providing pre-sales support. Todd was recently promoted to Director of Manufacturing Solutions.